Laurel is an art critic with a very interesting sideline - she reclaims stolen art but not through the usual channels. She much prefers to work alone, but she is forced to work with Jack, who infuriates her. He wants it all his way and that is an obvious trait she can take issue with, but she also has developed feelings for him. Laurel has some trust issues that are great for her job, but not so great for building relationships. And Jack is as slippery and cunning as can be. 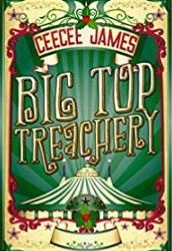 Ames has created a complicated plot with twists and turns taking the reader from Florida to London and on to Florence. This could be read as a stand alone, however, there are references to the first in the series so you might want to start there. Bottom line? 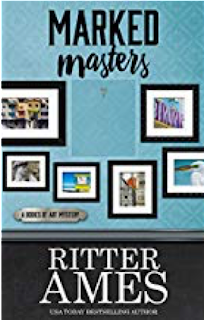 If you like other works by Ames, you will definitely like Marked Masters and likely the others in this series. P.I. Billie Bly is stressed out. Thieves are stealing Christmas Decorations in her neighborhood’s business district and a seven-year-old’s mother is missing. 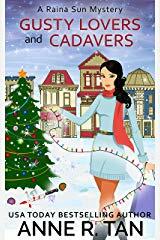 Her assistant, Angel’s, Christmas addiction is cluttering her home and when Angel’s loopy boyfriend begins poking his nose and other body parts into her business, something has to give. The little girl is counting on Billie to find her mother and the police think her father is somehow involved. She has five days to bring Christmas back for a young girl and learn who is stealing life sized Santa and Snowmen statues. Billie Bly doesn't really have time to figure out where has disappeared, never mind whether it is voluntary or not. She has a bigger case and, as part of the business association, an investment in maintaining good relations to find the missing snowmen. After all, there was a lot of money invested in these decorations to light up the businesses. 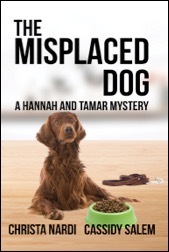 Billie enlists the help of a dog in training to check out her suspicions, at the same time trying to find the missing mother. In fact she gets the whole town involved in finding the missing women. This was a fun, Christmas read. I like Billie Bly and her attitude. This is the 4th in the series, but easily read as a stand alone. Short read, but lots of spirit. Maizie's running around in circles with her past, present, and wished for future with Nash keep colliding. Add in Lamar, donuts, and three teens who are in search of Big Foot and their missing friend, and Maizie's got a very long to do list. 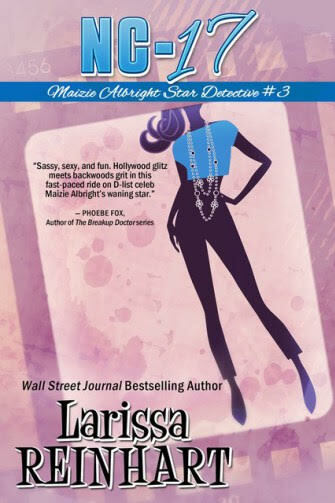 Maizie's attempt at investigating Chandler's disappearance and the bank bomber's accomplice, intersect in interesting ways with her probation officer, mandated therapy, and Oliver, who is the reason she's on probation to begin with - and her mother who is marrying her other ex-boyfriend. No wonder she keeps having panic attacks. It's hard to read this story and not feel for Maizie and her attempts to please Nash and find Chandler for the teens. 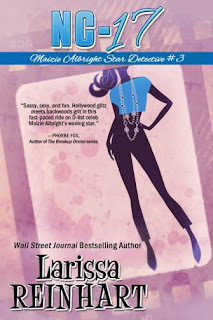 This is well written and another fun read by Larissa Reinhart with interesting characters and tension that keeps the pace steady. Sarah's had a a lot of bumps in her life thus far and is starting over, back with her twin, Emily. She can't seem to escape her past and Emily becomes the suspect to Sarah's ex-husband's poisoning. 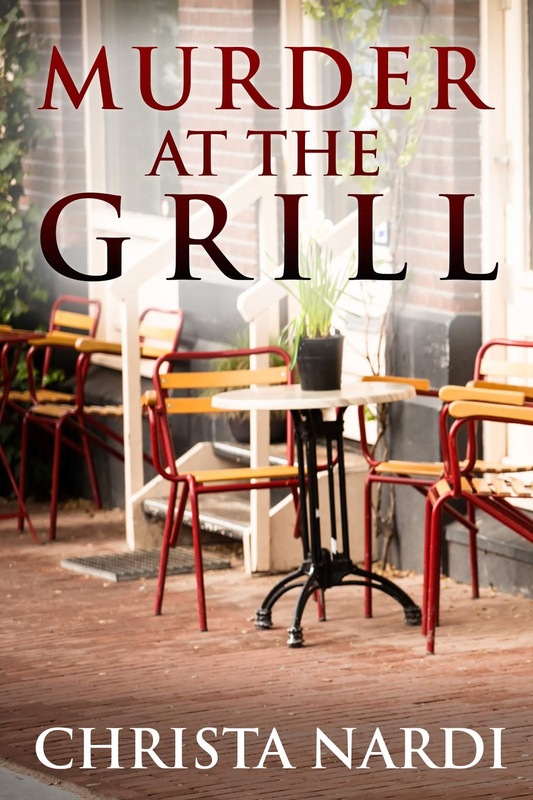 There's lots of small town interactions and conflicts, some within the swanky restaurant where Emily is moving up. Sarah's doing her best to use her new investigative skills to help out her sister, both to prove her innocence and on stage. Emily and Sarah are twins, yet their personalities complement each other in many ways. Both are likeable in their own way; you can't help but pull for Sarah's new life to be successful, as well as Emily's. There are any number of suspects and some are being eliminated but then something else happens. 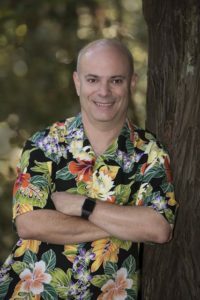 In the end the silent and not so silent partners and connections come out with an unexpected killer. The story was well-written and enjoyable to read. This is the first in a new series and I look forward to reading more about Sarah. 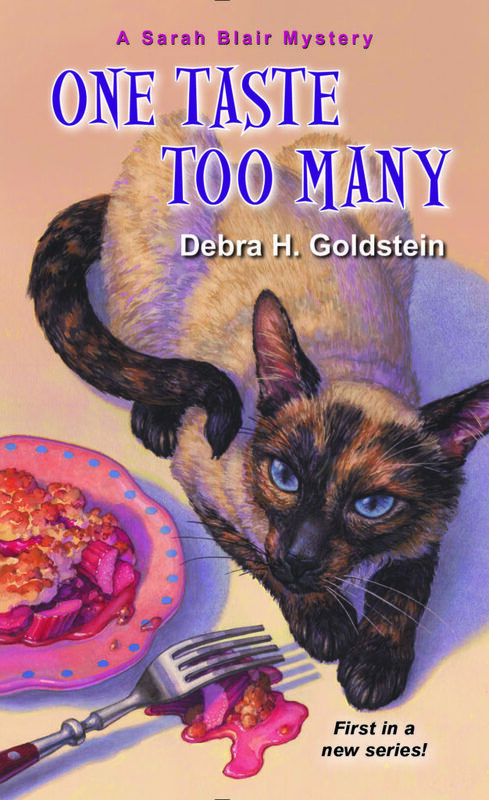 Judge Debra H. Goldstein’s new Sarah Blair cozy mystery series debuts from Kensington Press debuts with One Taste Too Many. 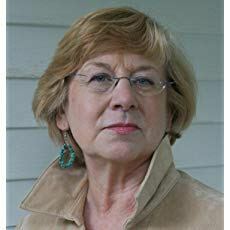 She also is the author of Should Have Played Poker: a Carrie Martin and the Mah Jongg Players Mystery and the 2012 IPPY Award-winning Maze in Blue. 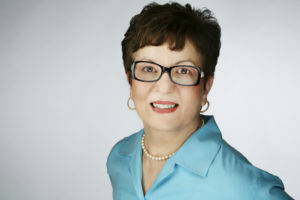 Besides novels, Debra writes short stories. Her short story, The Night They Burned Ms. Dixie’s Place, Alfred Hitchcock Mystery Magazine (May/June 2017) is an Agatha Award Short Story Nominee. 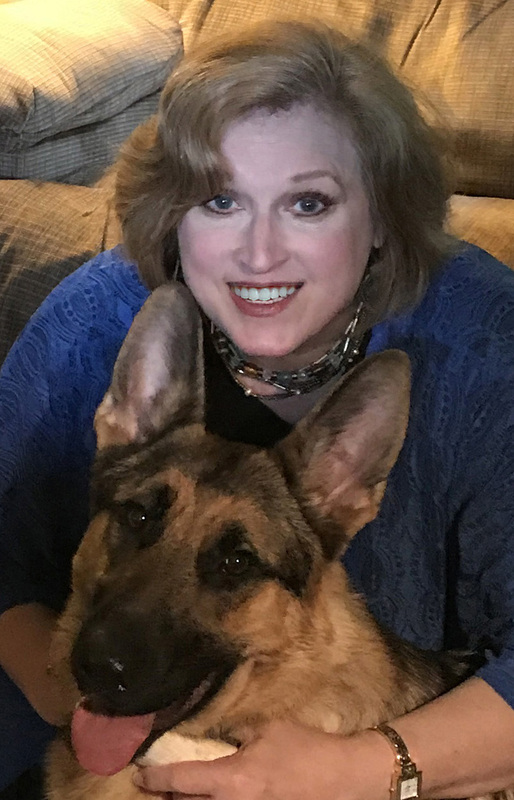 In addition to being the Sisters in Crime Guppy President, Debra serves on the national Sisters in Crime board and is Vice-President of the Southeast Region of Mystery Writers of America. I don't know about you, but all the sales in December are oh, so tempting. Many years ago I worked retail (hence, I don't do Black Friday ever) - more money was spent in December than several months combined. I've been including sales - yes, mine, but also others - in my monthly newsletter. This month? It would be a very long newsletter. 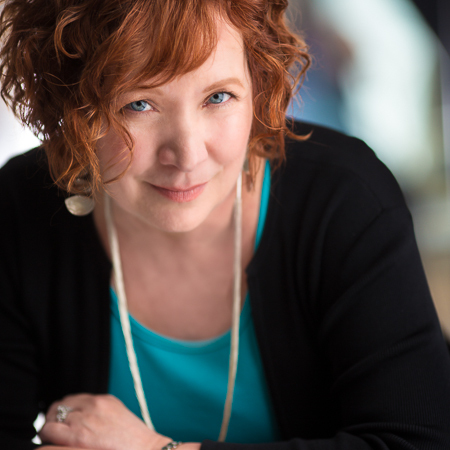 So instead of a spotlight or guest post or book review, this post is all about sales. I'll update it periodically ... so be sure to check back often. Keep reading, and Happy Holidays! Jazzi, Jerod and Ansel are a great team - reconstructing homes to flip them or buy for themselves. Cal Juniper's home is beautiful but renters and the nephews who inherited didn't take care of it, not to mention a lot of missing antiques and art. They work well together despite the skeleton and the detective who keeps asking Jazzi to help him - people like her and open up to her. The best character though is grandma who isn't always lucid but knows more than is good for her. 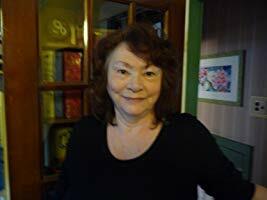 There are lots of suspects for Lynda's murder and things get complicated - all seemingly connected to the decades old crime. This is well-written, well-paced, and a good break. 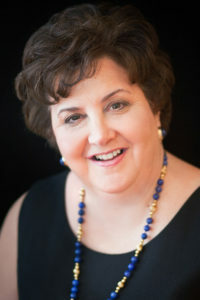 Lynn has captured the dysfunctional sides of some families and people, as well as the potential for happiness. I hope we see a lot more of Jazzi and her family in the future. Like mystery, romance, and great characters? You'll like this one. 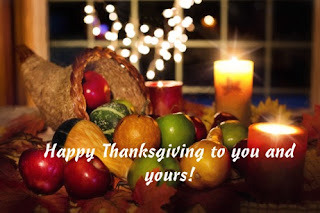 This is the time of the year to reflect on the good things in life - something that often is difficult to do. Whether in America, on Thanksgiving, or elsewhere, remembering what we can be thankful for - or as the song goes "Counting our blessings" (yup, getting in the holiday mood here!) is always uplifting. I am thankful for my husband who supports me in all my craziness and stressful times, for my sisters and brother, and my extended family. I'm thankful for the "children" I gained when I married my husband, and three grand-daughters we get to spoil and who make us laugh on a regular basis. Never would have gone to see "Frozen" on ice without them. Relatively new to the writing thing, I'm very thankful to the many people in various groups who offer support, suggestions, and constructive feedback. And, of course to my friends who may not read my books, but ask about my writing and support my efforts. Finally to all my readers - thank you for the good words and feedback. Whether you celebrate this American holiday or not, remember to be thankful for every kindness and to be kind. Ivy Meadows, part time PI and would be actress is in her element and out of her element at the same time. A renaissance festival is a world all its own and a jouster has been killed, an acquaintance - Riley - accused of the murder. Then there is the illusive and quite famous Thomas Roberts accepts her bid to play Marilyn in his newest play. The hitch? Matt has just suggested they take the next step and live together. Love or acting career? And what about Uncle Bob? 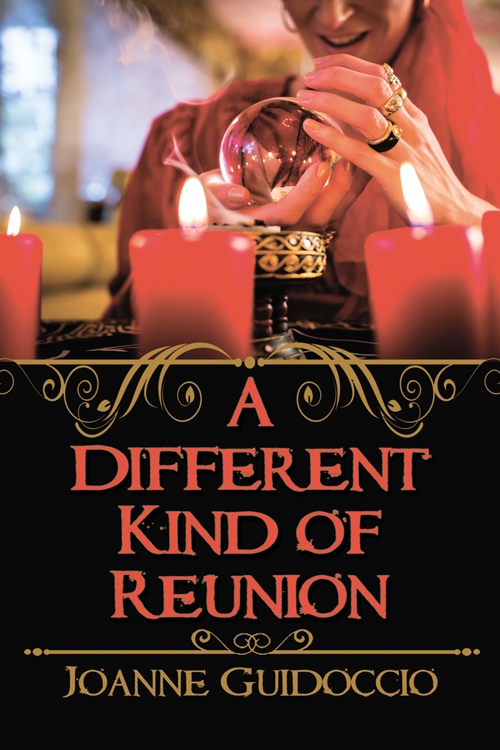 If you've ever been to a Renaissance Festival, you will be able to relate to the sights and sounds Ivy is exposed to and, as she goes undercover as a mime belly dancer, the fine distinction between bawdy and crude at the Ren. 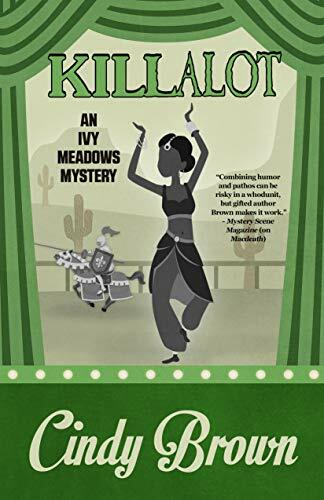 This is a fun mystery, in a unique setting, with interesting characters. To add to the mystery, it appears that Angus, the deceased, is not particularly a popular fellow - in fact, nobody seems to miss him or mourn his passing in the least. I've been to a Ren fest and had to chuckle at Ivy's descriptions - right on. The pace is steady and the personal tension adds to the story rather than detracts. 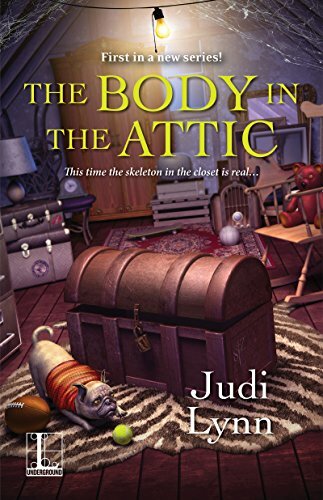 If you like a cozy mystery, this is a good one. In this first in series, the main character, Marty,bumbles a bit with real problems and family challenges. On the plus side, he is able to use humor, sometimes silly, to get him through. And sometimes, he gets through by sheer luck. He never planned on being an amateur sleuth, but he's determine to to find out who killed his sister. 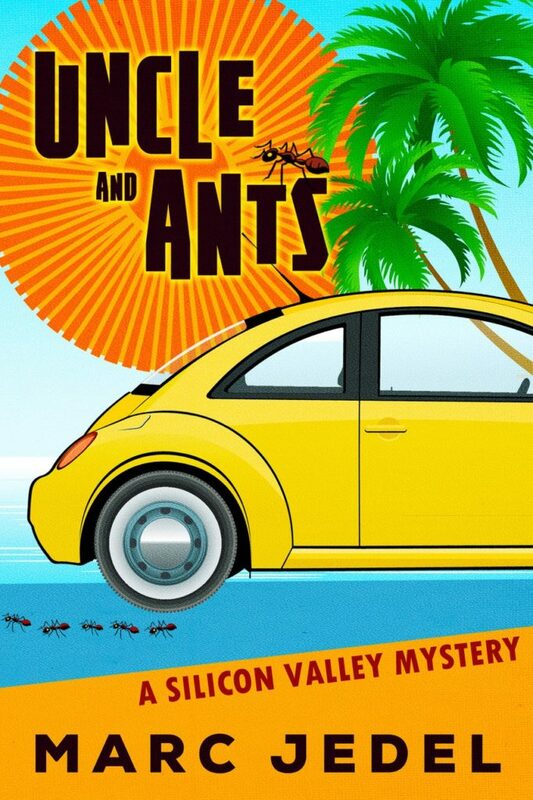 With Uncle and Ants, Jedel manages to intertwine humor with the sometimes obtuse techie environ of the Silicon valley. Marty isn't the typical hero and the villain isn't the obvious perp. With humor and bumbling, the story has unique twists and a steady pace. If you're looking for something different in a cozy mystery, you'll want to keep your eye on this new series. 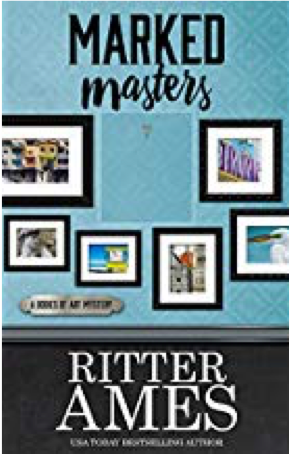 This was a fun read as Gilda returns to the small town where she spent 7 months teaching and impacted on the lives of at least a small group of them. Several years later, she is contacted by Sarah, who is then found dead. The flirty Constable believes she died at the hand of one of the others in that group. He asks Gilda to come and has Cassandra, one of the other students Gilda taught, to help using her psychic powers. This was well-written and had a quick pace. The discussion of alpha and beta men (and women) was interesting as was the reflection on how individuals change from 8th grade to adulthood. The killer was not obvious, though the conclusion made sense. 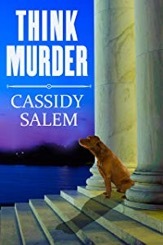 I enjoy reading this series and Gilda and each can be read as a stand alone mystery. 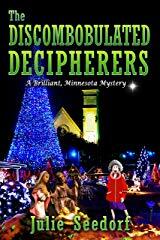 If you enjoy a cozy mystery, with only a slight paranormal bent, you'll enjoy this one. Angie's first experience at an auction has led her down an interesting path. The burning question remains why the issue with something dating back to 1757. Her friends and grandmother and Tom all become involved. Mainely Needlepoint in Haven Harbor is now the focus of someone who has already killed once. Angie is afraid, not only for herself, but for her friends and family. The story is well-paced and the relationships for Angie highlighted, sometimes with a sense of despair. The tension Angie feels and her fears come through, as well as Patrick's hope to protect her. 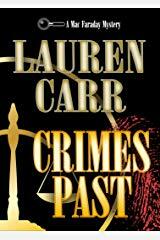 There's a bit of history woven in, romance for Angie and Patrick, as well as for Sara, and the mystery to be solved. This is the seventh in the series, but my first. It can easily be read as a stand-alone. 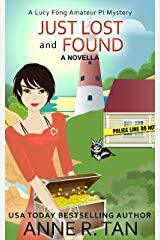 If you enjoy cozy mysteries, you'll enjoy this one, and likely the whole series. Other prospective bidders were standing near me, waiting for me to move on. A middle-aged woman with short brown hair highlighted with blond took my place next to the coat of arms. “What about the samplers?” she said to the bearded man with her. “I don’t care about china. You can’t put that old stuff in the dishwasher anyway. What about the clock?” He pointed at a grandfather’s clock nearby. I didn’t know who they were, but they must be connected to one of the families who’d owned these furnishings. If they, or Josie, whoever she was, had wanted them, why were they being auctioned off? A small mystery, but not one that concerned me. I walked past several water-colored seascapes, a large oil portrait of a ringleted little girl in a blue dress holding a doll by its arm, and several framed World War I posters. Three men were looking through a box of pictures—prints?—in a corner. Who’d owned all these things? The parents or grandparents of that woman I’d heard talking about “Grandmother’s china”? Once, each of these things now lined up to be sold had been chosen, had taken its place in a household, valued, and thought of with sentiment. Now, sadly, they were filling spaces in a large auction-house showroom, destined for antique shops, and, I hoped, for other homes where they’d be valued. I almost laughed at myself for being so sentimental. These were things, not people. 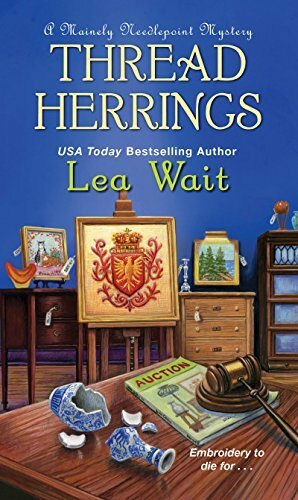 Excerpt from THREAD HERRINGS by Lea Wait. Copyright © 2018. All rights reserved.